Dato’ Balwant was born on 25 November 1921 to Sewa Singh and Jai Kaur who had come to the then Malaya in the early nineteens in Raub, Pahang. His early education was at the Government English School Raub and then at Clifford School, Kuala Lipis where he completed his Senior Cambridge in 1938. As a school boy, he used to walk five miles daily because his father could not afford to buy him a bicycle. He was paid only 80 cents a day working for the Raub Australian Gold Mining Company and his allowance for school was half a cent. It was only when he was in his 7th year at school that he got his first bicycle which was given to him by a friend. Before and after school, he was a milkman delivering milk and during the school holidays, he looked after the cows. He was up at the crack of dawn delivering milk around before heading for school and he never imagined that one day he would dine in the Hall at Lincoln’s Inn and spend the next half a century at the Bar in Malaysia. Immediately afterwards, Balwant joined a local bus company as its conductor to rise to the position of driver, station master, company book keeper and finally as its chairman. When the Japanese captured Malaya, he took up the Japanese language and went on to lecture at the Japanese Training College. Balwant also told us that a major part of his work was translating the speeches of Japanese Generals to Malay at assemblies at the local padangs. After the War ended, Balwant joined the government service as a general clerk and later the teaching profession. He qualified as a normal trained teacher, a course he did by correspondence which used to be overseen by the Inspector of School. He taught from 1947 to 1954. On the insistence of his brother-in-law, Lall Singh Muker of Lovelace & Hastings (who incidentally is the father of another law practitioner – SS Muker), Balwant signed up with the Inns of Courts and sat for his Part 1 in Malaya and passed the very first time with the aid of some nut-shell series. The late Justice Ajaib Singh, Tun Abdul Omar, Dato’ Harun Idris, Menteri Besar of Selangor, and Karam Singh Veriah also sat together with him for the exam. Karam Singh’s father, the late Mr Kehar Singh, on Dato’s departure to England, gave him a textbook on Contract and Tort which he could read and sit for the fifth paper in December 1954 as the final paper in Part I. Upon his return to Malaya, Balwant chambered under Majoriebanks of Lovelace & Hastings. Majoriebanks was too busy so Balwant’s surrogate master was Mr Lall Singh Muker himself. Balwant who was called to the Malaysian Bar in February 1957 epitomised the typical subjugation of hardship encountered by a boy during the Japanese Occupation of Malaya and then to rise above the handicaps of the day to succeed in life. After his Call to the Bar in 1957, Balwant went into partnership with Lai Toong Fatt and Cheah Thiam Swee in Seremban and he was in charge of the Seremban office. Balwant’s main practice was in Pahang. If there were four cases in any Court in Pahang then they were inevitably handled by him. It was around this time that Balwant resumed his acquaintance with Tun Razak who introduced him to the Sultan of Pahang. Balwant became a royal counsel of sorts and handled all the Sultan’s personal legal work from 1961 to 1974 on the demise of the late Sultan Abu Bakar. At the age of 42, Balwant became the youngest first Sikh Dato’. He was a connoisseur of cars and his prized possession till death was an Austin Seven which was a 1929 model. The most harrowing time that Balwant went through in his 95 years was the shooting of a despatch clerk in June 2002. The despatch clerk who was shot by Balwant in Bangsar later succumbed to his wounds and died leaving Balwant to face the murder rap. Balwant was very lucky not to have been detained by the police and when charged three months later, the Learned Judge granted him bail, this was one of the first cases reported in the Commonwealth where a person was granted bail on a murder charge. This case is now being referred to by all solicitors when applying for bail in non-bail cases. When Balwant was assaulted repeatedly by the despatch clerk, he showed his Smith and Wesson but he clerk dared him to shoot. Then he was hit with the piece of wood again and Balwant fired a warning shot in the air but that did not make a difference to the attacker so Balwant fired a shot at the attacker’s hand in self defence to disarm the attacker. Being a criminal lawyer for a large part of his career, Balwant suddenly found himself defending himself against a murder charge. Although it was traumatic, he remained confident throughout which saw him being acquitted at the end both at the trial court and the court of appeal when the prosecution appealed. Award of Excellence for his outstanding legal work in 1992 by the High Commissioner for India in Singapore. 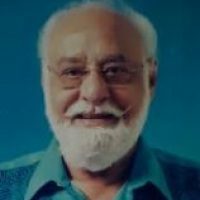 Balwant had served as the President of the Sikh Temple in Raub and Petaling Jaya for many years and as the President of the Indian Ipoh Road Housing Society for more than 30 years. He was also a member of the Bar Council for more than 15 years and the founder Chairman of the Negeri Sembilan Bar. He also served as the President of the Selangor Sikh Union Club Aman and had been the Chairman of the La Salle Primary School Petaling Jaya till about a year before his demise. Balwant joined Rotary International in 1963 and became District Governor in 1984/85 comprising Malaysia, Singapore, Sabah, Sarawak and Brunei. Balwant had enjoyed being a lawyer and had aimed to be around when he turned 100 as his mother died at the age of 97 and grandmother, at 105. Taking the law of average, he felt that he could make it but Our Lord, the Creator, had a different plan for him and he breathed his last breathe on the evening of 2 February 2017 at a good old age of 95 years.